Amazing turn key home on an oversized double lot. This 3 bedroom 2.5 home offers fully renovated finishes throughout. Dual zone A/C units, barrel tile roof, lush landscaping, impact resistant windows and doors, newer stainless steal appliances, freshly painted inside and out, new plank style porcelain tile flooring (8inches X 48inches), custom drapes and blinds, indoor laundry with custom cabinets and plenty of storage, oversized rooms, 2 car garage with built in storage, circular driveway in front of home, 6 foot privacy fence that is wind rated made out of steel and composite, salt water pool/spa with new diamond bright and tile. GREAT LOCATION! A MUST SEE!!! DON'T MISS OUT ON THIS ONE!!!! Easy to see! STUNNING!!! Great cozy 2/2 w/garage on the water. Tucked away, less than 2 miles to the beach. Corner lot, so much potential for a pool, 2-car garage or third bedroom. Lots of room for expansion but perfect as-is. This was completely renovated in 2008. Beautiful patio area. Stunning renovated waterfront home in the heart of Oakland Park. This beautiful 5 bedroom, 4 bathroom home has a spacious common area and open floor plan. The pristine exterior overlooks the water and is a peaceful backdrop for your enjoyment and the home contains many recent updates including kitchen, bathrooms, flooring and more. This home makes for the perfect vacation rental with a proven track record of over four years of 4+ star reviews, exceptional rental focused design and optimum hand selected furnishings which makes for consist high yield revenue, especially now as the high season begins. A phenomenal revenue producing opportunity with proven success! 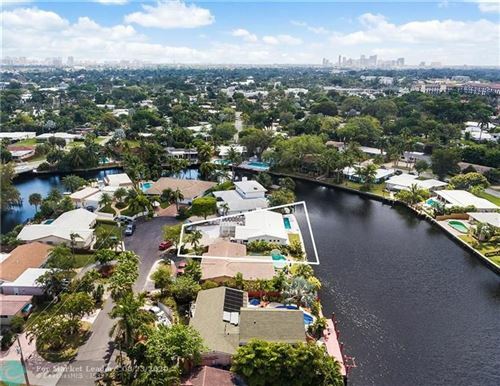 Stunning waterfront 5 bed 3 bath in the heart of Oakland Park. Recently updated modern design with amazing outdoor spaces, split bedroom floor plan, custom built-ins and more. Updated kitchen and bathrooms with a spacious and open floor plan. Heated pool with jacuzzi, lush landscaping, outdoor kitchen area, Florida room and waterfront landing to launch water sports and fish! This home makes for the perfect vacation rental with a proven track record of over four years of 4+ star reviews, exceptional rental focused design and optimum hand selected furnishings which makes for consist high yield revenue, especially now as the high season begins. A phenomenal revenue producing opportunity with proven success! 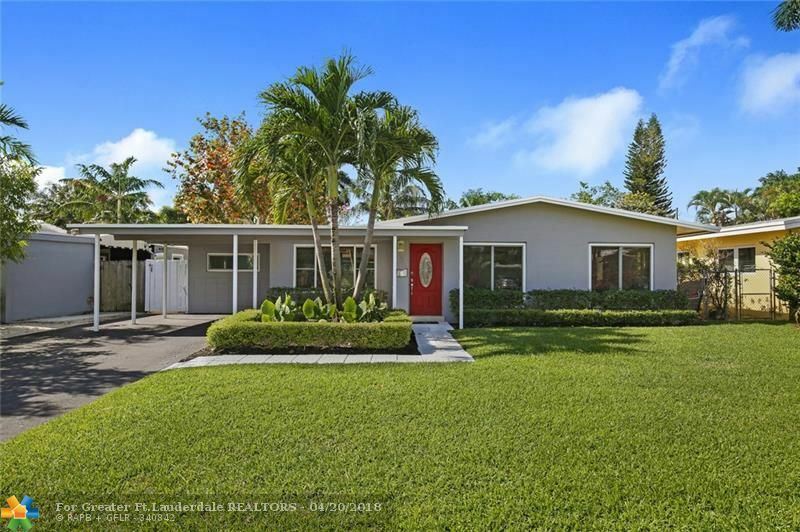 Discover Oakland Park in this completely remodeled like new 3 BD/2.5 BA Coral Heights pool home. The fantastic interior concept features Italian tile flooring throughout, brand new chef kitchen with Italian cabinets, new electrical throughout, including new plumbing, new roof, new AC and air ducts, new hurricane proof windows and doors, new pool and sprinkler system. Additional features include ethernet cat 5 in bedrooms and living room, gas cooktop, high end appliances including U-line wine cooler, Italian cabinetry (Mia Cucina) and floors, Spanish vanities, and 1.5 car garage with storage. Hidden water front gem at end of cul-de-sac. Total privacy. Secluded pool & covered patio in front yard, wood deck with unobstructed canal views in back yard. Oversized sliding doors in all rooms. Bright & open living/dining/kitchen area. Open kitchen w/ granite counter, stainless steel appliances, bar and plenty of storage in ceiling-high cabinets. Large master bedroom w/ walk-in-closet. Huge master bath w/ double pocket doors to bedroom, separate lavatory, glass shower, double sink and tub. Split level 2nd bedroom. Second bath w/ walk in shower and separate exit to back yard. Two water heaters (one electric, one gas). 2 car garage has windows and could be easily converted into 3rd bedroom / in-law-suite. Roof 2000, A/C 2011. Travertine driveway. ADT alarm system. Completely fenced in. 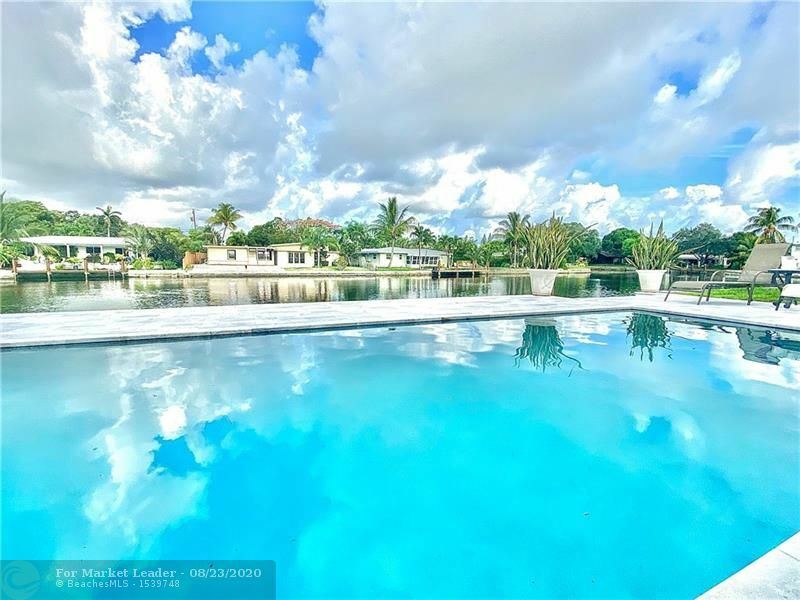 WELCOME TO THIS METICULOUS CORAL HEIGHTS POOL HOME! Thoughtfully designed & professionally executed remodel offers the finest features. Master bedroom suite is tranquil; double sink, beautiful walk-in shower, generous walk-in closet. The 3rd bedroom is the ideal home office with pool/garden views and Murphy bed. A true cook's kitchen featuring natural gas cook top, Thermador double oven, Jenn-Air refrigerator, Miele dishwasher, marble countertops, bar sink. Open concept design creates a nice flow between kitchen, dining area and well-landscaped outdoor space. Back yard is extremely private & lush with a sparkling pool. Inviting outdoor dining space and a screened patio are poolside. High-efficiency gas instant water heater, laundry room with sink, storage space for bikes + garage. OPEN HOUSE - SUNDAY FEBRUARY 24 1:00 - 4:00 - MUST SEE THIS BEAUTY Situated in a cul de sac on a large corner lot in the desired East Oakland Park neighborhood, this 3B/2B pool home is absolutely impeccable. 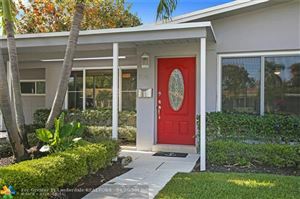 It features lush landscaping with tropical lighting, granite kitchen with stainless steel appliances, security system, tongue and groove ceiling in covered carport as well as the patio area. This home has all impact windows and doors, LED high hats throughout, plantation shutters, crown molding, solid wood doors on interior and a sprinkler system. There is a metal roof with warranty. Air conditioning unit is only 4 months old. Time to move in. Easy to show! Meticulous move in ready 3 bed, 3 bath, pool home on one of the finest streets in East Oakland Park! Huge front yard adorned w/ tasteful lighted landscaping and private courtyard entry. 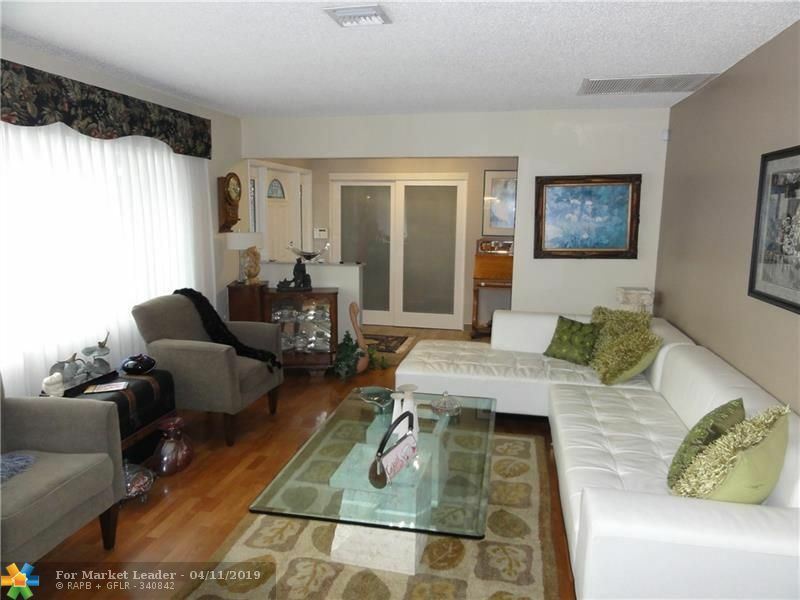 Spacious living & entertaining area, bar seating to open kitchen w/ granite counters, wood cabinets, ss appls and gas stove! Split bedroom floor plan w/ two masters both w/ lustrous wood flooring & beautifully remodeled baths. Elegant high ceiling formal dining overlooking pool area. Tropical fenced back yard oasis w/ canvas awning covered patio area, heated pool w/ spa, Zen like gardens, orchids, landscape lighting, sitting areas, green space & shed. Crown moldings, recessed lighting, surround sound, built in's, custom window framing, laundry utility room & hurricane protected windows. A must see. Incredible home in highly sought-after neighborhood in Oakland Park. This 3 bedroom 2 bath home has everything you could want; garage, pool, hot tub, whole house generator, impact glass, new roof, renovated and updated. Completely fenced and lushly landscaped "zen" gardens. Perfect entertaining home large formal living room, dining room, & oversized family room all open to a resort-style pool w/waterfall, hot tub & gardens. Expansive Master suite with lots of privacy...huge walk-in closet + 2 additional closets, lots of light & open to pool & backyard, stylish master bath w/oversized shower. Park over 6 cars in Large circular drive way and 1+ car garage. Great Neighborhood, close to everything. A true must see to appreciate all this home offers. Being offered below recent appraisal. Stunning. Absolutely stunning. Prime location just minutes from beautiful Ft. Lauderdale beach and iconic Wilton Manors! Immaculate move-in ready 3/2 waterfront property including upgraded fixtures, crown molding, 9 foot ceilings throughout, den, updated kitchen with natural gas stove top, dedicated laundry room, saltwater pool, and 2-car garage with 2 bonus storage rooms. Customized California closets throughout with walk-in Master. Updated throughout with hurricane protection for all windows and newer hurricane-rated garage door. 2016 HVAC update plus 2018 tankless gas hot water heater install. New white PVC fencing. The MOST SPECTACULAR TROPICAL BACK YARD! Perfect for entertaining. Located on one of the most desirable streets in The Corals. Minutes from Coral Ridge Mall, DT Oakland Park, Funky Buddha, Tatts n Tacos, Jaco Park, library, playground, tennis & basketball courts. This 3/2 updated kitchen has stainless steel appliances, combination microwave/wall oven, wall hung range-hood & quartz countertops. 1,600 SF patio for outside dining/lounging (partially covered). Pool area with spa. Impact windows throughout. 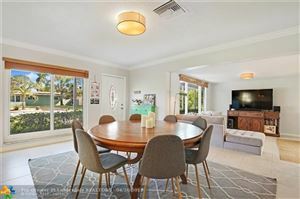 HUGE PRICE REDUCTION - Priced to Sell..Beautifully renovated mid-century modern home on the water with ocean access & an oversized 2 car garage. Over $170,000 in upgrades, the entire house was carefully redesigned to open up a large living space with beautiful views. The original terrazzo floor was restored & pulls the entire space together. Modern spanish tiles with a bold graphic pattern & elegant Hans Grohe plumbing fixtures set a unifying design theme for the kitchen & bathrooms. Impact windows & doors throughout to give you peace of mind. Must see to appreciate all the details including tankless water heater and new electric panels. 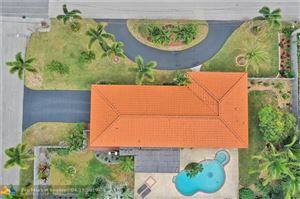 This is your opportunity to own one of the largest homes available on the market in Coral Heights. This beauty is conveniently located near the beach, I-95, supermarket, restaurants and more. Home consists of 2 master suits, 4 bedrooms, 3 bathrooms, updated kitchen, floors and bathrooms. Having this backyard is living a vacation life every time you come home. Tiki bar comes equipped with a grill and a refrigerator. House comes with a professional camera system. Roof and A/C were replaced in 2014. SPECTACULAR WIDE WATER VIEW. 75 feet on water. First time on market in 18 years. Tile roof, large brick paver driveway. Stainless appliances. Fenced back and side yard to let your dog run. Home is close to beach, shopping, Coral Ridge Country Club, fitness clubs, downtown, and the best Ft Lauderdale restaurants. DESIRABLE EAST OAKLAND PARK LOCATION! CLOSE TO US1, THE BEACH, DOWNTOWN AND 95! 3 BEDROOM - 2 BATHROOM - POOL HOME! BRIGHT OPEN FLOOR PLAN - PERFECT FOR ENTERTAINING! LARGE OWNER'S SUITE WITH WALK IN CLOSET AND FULL BATHROOM! 2ND AND 3RD BEDROOMS ARE SEPARATE FROM THE OWNER'S SUITE! TONS OF COUNTER SPACE IN THE KITCHEN - WHITE CABINETS & COUNTERS - STAINLESS STEEL APPLIANCES! INDOOR LAUNDRY ROOM. FENCED IN YARD WITH HEATED POOL & TROPICAL LANDSCAPING. ATTACHED CARPORT. MUST SEE! 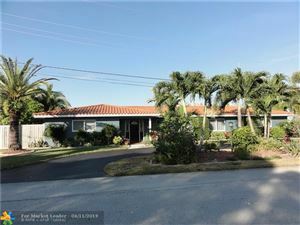 Beautifully, renovated 3/2 pool home with impact windows and garage. The spacious kitchen has espresso cabinets, white quartz counters & stainless appliances. The open floor plan is ideal for entertaining with sliding doors that allow the party to flow from the inside to the outside. You will feel like youGÇÖre at the spa every day in the oversized master bath with a whirlpool tub and a huge shower with two shower heads. The private, fenced backyard with new heated, saltwater pool is gorgeous. Natural gas is available. 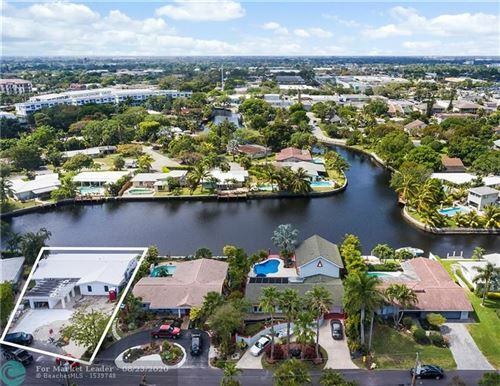 Impressive, Tropical Wilton Manors Waterfront/Pool Home...3 Bedrooms and 3 Full Baths...75 ft. on the Water...Very Private Setting with Beautiful Mature Landscaping. This home has had many updates, New Barrel Tile Roof 2014, Completely Remodeled Kitchen with all White Cabinets, New Appliances, Sink, Plumbing, Backsplash, Flooring, and Lighting..Pool Renovated, New Shape, Steps Added, Diamondbrite Finish, New Tile, and Complete Installation of White Marble Paver Patio Surround and Walkways! All Bedrooms are Large Offering Plenty of Storage Space with 2 Walk-In Closets. Laundry Room Boasts Subway Tile to the Ceiling, On Demand W/H, Updated Electric Service. New H/I French Doors, and Full Accord. Shutters. Relax on your Spacious Covered Porch Overlooking the Water, Perfect for Entertaining!